In any industry, having a business card is a must. However, carrying them about can be a pain, especially if they get bent, lost or even ripped. Business cards are there to give a good impression during networking, and this can fail if you hand over a crumpled card. 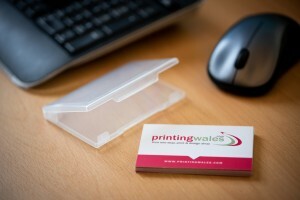 That’s why we have thought of our customers and where the free business card holder comes in! Place any order from our business card range and you will receive a free business card holder in the packaging when delivered or collected from our store. You can follow this link to view our business card range.